As long as you purchase electricity from one of three of California’s Investor-owned Utilities (IOUs: Pacific Gas and Electric, Southern California Edison, or San Diego Gas & Electric), and have a roof that receives sunlight from 11AM until sunset, you qualify for the CSI program. Only panels that are smaller than 30 watts are eligible for the EPBB payment plan. Those who qualify for EPBB may instead opt for PBI. EPBB and PBI are also financially equivalent. In the case of PBI, the payments are annually scaled up by 8% to account for inflation. Expected Performance Based Buydown (EPBB) – Applicant receives entire incentive payment at the time of installment. The amount of payment is based on expected electrical output of the panels. Performance Based Incentive (PBI) – Applicant receives partial payment each month for five years. Payment is based on actual metered output. There are five essential steps to earn incentives for your solar power. The solar installer that you have hired will contact a CSI administrator on your behalf to apply for an incentive. The installer may also be able to have your solar panels connected to your utility company and apply for local building permits. 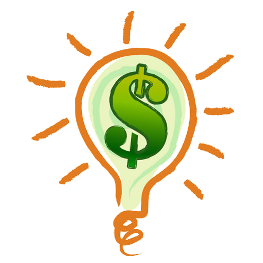 Higher cash incentives are available for those who apply for them prior to solar installation. After receiving your reservation confirmation letter, have your solar panels installed and connected to your utility company. Once solar panels are installed and running, submit the Incentive Claim Form.